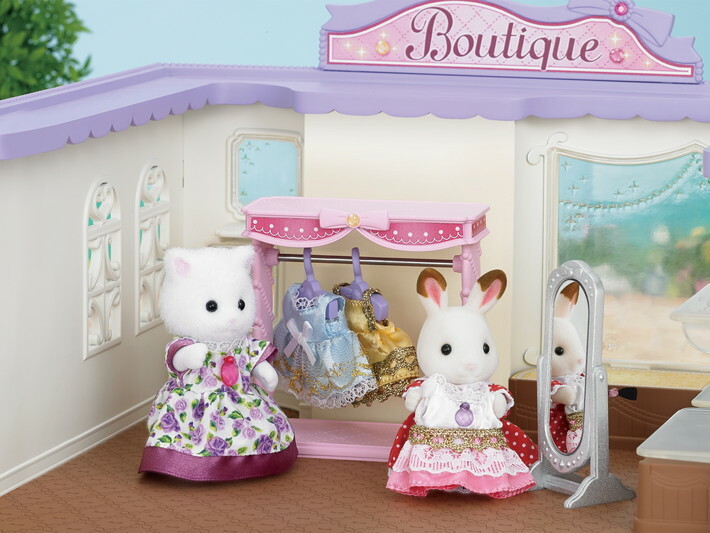 Let's play dress-up! 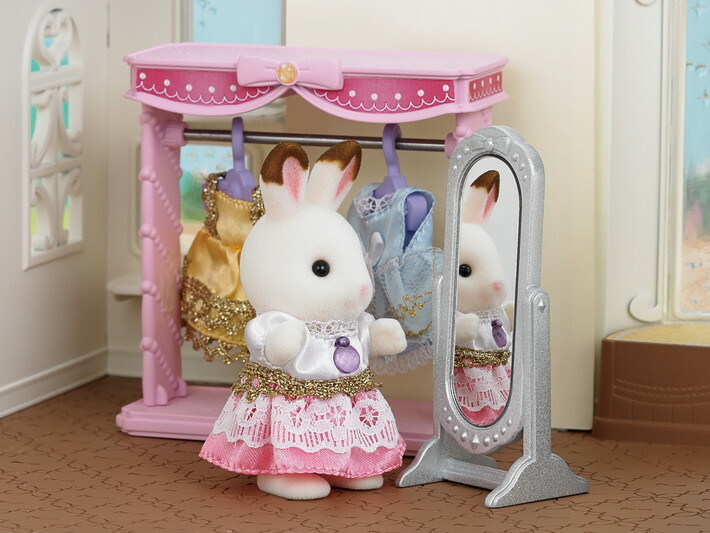 Freya Chocolate Rabbit girl has three brand new dresses to try on in blue, yellow and pink! 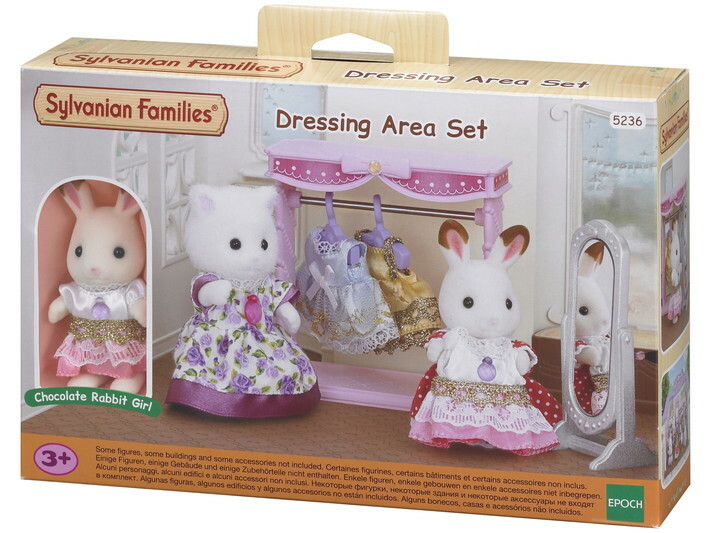 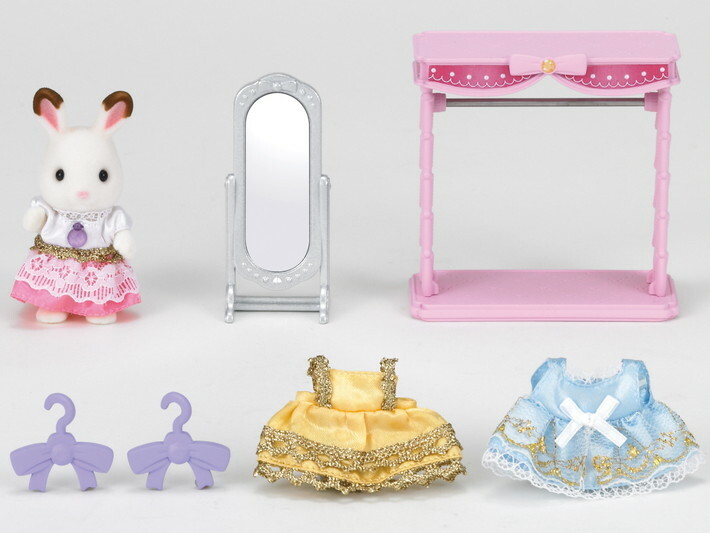 Complete with full length mirror, dress hangers and dressing unit, this set is every little girl’s dreams come true!